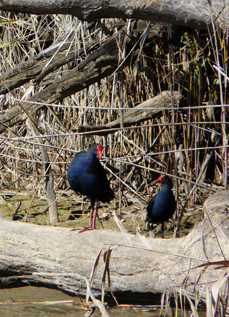 Purple Swamphen feeds on the soft shoots of reeds and rushes and small animals, such as frogs and snails. However, it is a reputed egg stealer and will also eat ducklings when it can catch them. The Purple Swamphen uses its long toes to grasp food while eating. For such a bulky bird, the Swamphen is an accomplished flier and will readily take to the air to escape danger. In flight, the long legs and elongated toes trail behind or hang underneath the body. Purple Swamphens are proficient swimmers, but prefer to wander on the edges of the water, among reeds and on floating vegetation. The Rainbow Bee-eater is mostly turquoise green with a black line through its eye like a bandit, and another under its yellow throat. With its long black beak it really does catch bees, beating them on a branch until they can no longer sting before tossing them down. 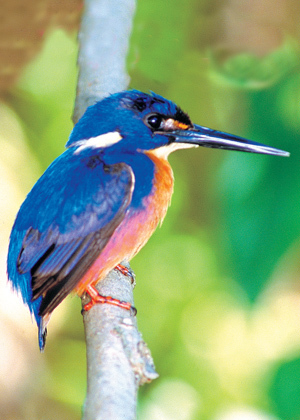 It catches most of its insect food while flying from trees or low shrubs. 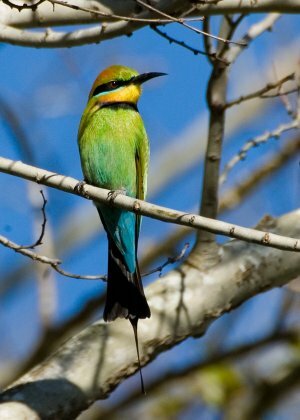 When building a nest the Rainbow Bee-eater gets away from the light altogether. It digs a long tunnel in a bank and lays four to five eggs in a chamber at the end. The neck has a distinctive orange stripe on each side and there is a small orange spot before each eye. The throat is pale orange-white, grading to orange-reddish on belly and undertail. The flanks and sides of the breast are washed purple to violet. The legs and feet are red. The sexes are similar. 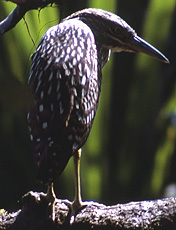 Young birds have a darker cap and are generally duller. 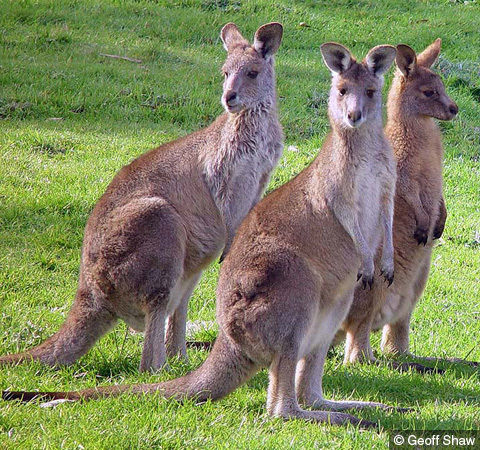 The Eastern Grey Kangaroo has uniform woolly grey-brown fur, slightly darker on shoulders and mid back. The tail is tipped with black Spends most of the day resting under a shady tree, only moving out to feed from dusk to dawn. 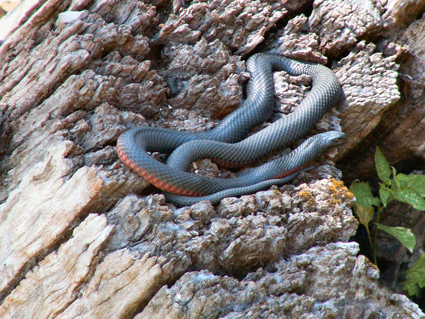 The Red Bellied Black Snake is a dangerous snake species found in Australia. It is a red bellied snake, and black on top, hence the name. It inhabits mainly the east coast of Australia, close to a source of water. They can grow up to 1.5 metres in length. This snake usually gives birth to about 20 live snakes at one time. The bite of a Red Bellied Black Snake is very dangerous and requires immediate medical attention. Koalas have soft, thick, grey or brown fur on their backs. The fur on the stomach is white. Koalas that live in the south have thicker fur than those in the north because of the cold winters, whereas the koalas in the northern part of the country live in warm to hot weather most of the year so have thinner fur. A koala has a large, hairless noses and round ears. Koalas don't have tails. 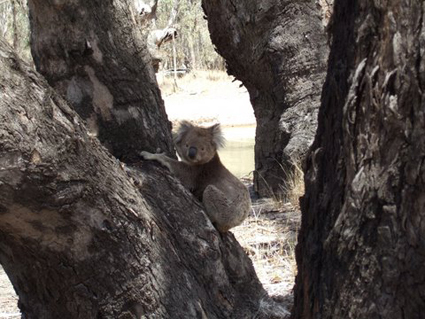 Adult koalas measure between 64 to 76 centimetres in length and weigh between 7 and 14 kilograms. 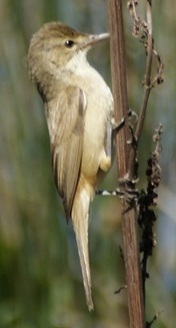 The Australian Reed-Warbler is plain olive-brown above, with white underparts tinged golden-orange, and has a pale orange-brown eyebrow. The sexes are similar. This species is more often heard than seen, but will be observed at times climbing among reeds and other water vegetation. Makes short low flights across water.